How do I set keepers from last year's roster? How to set a Keeper in my keeper league? 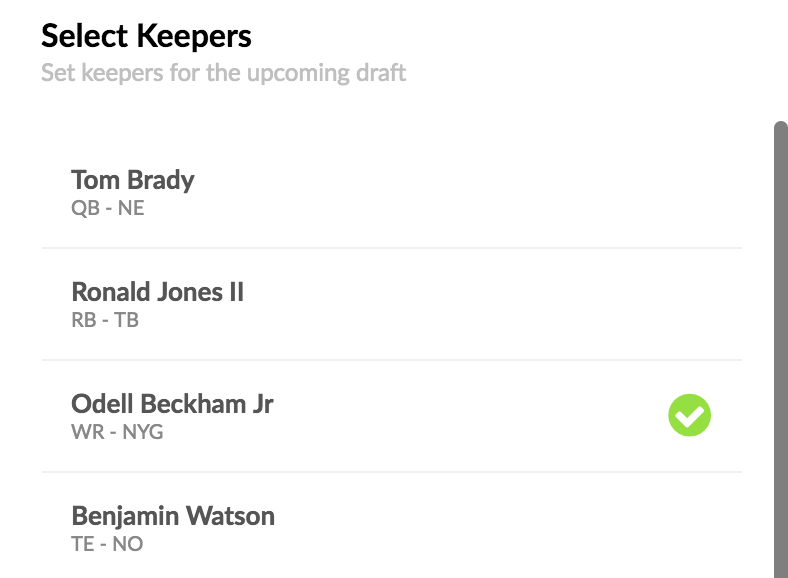 You can choose your Keepers any time before the draft when the league is in "Pre Draft" mode by tapping on the Set Keeper button on your roster before the draft. After that, simply select your keepers, up to the maximum allowable keepers. Once you set a Keeper, nobody will be able to draft your keeper. By default, your keepers do not cause you to lose a round when you set it. That's for the commissioner to determine before the draft after the draft order is set.